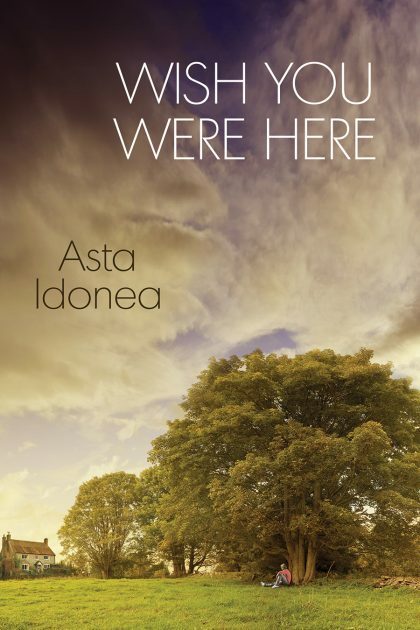 Although in some of my stories the themes only become apparent after completion of the first draft, with Wish You Were Here they filled my mind right from the start and became one of the driving forces for both the plot and character arcs. Loss and longing are states we all experience at some point in our lives, and Bobby and Oakley find themselves caught in their grip at the start of the tale. However, by the end, I can promise readers a more hopeful outlook. 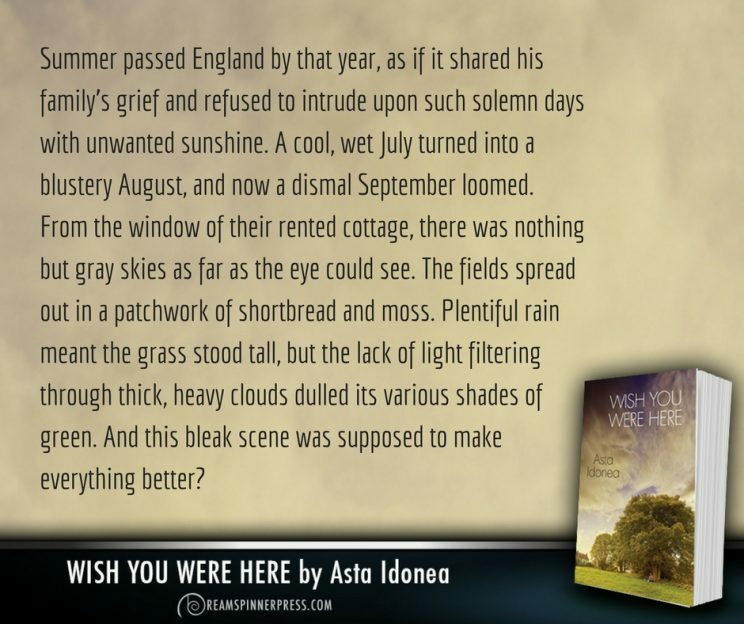 Another theme in Wish You Were Here is the idea of normality versus difference. Oakley and Bobby each have their reasons for feeling like outsiders, and they both have to learn to see past that and accept themselves for who they are if they want to move forward. I hope that their story resonates with readers since this is something many of us face at one time or another. 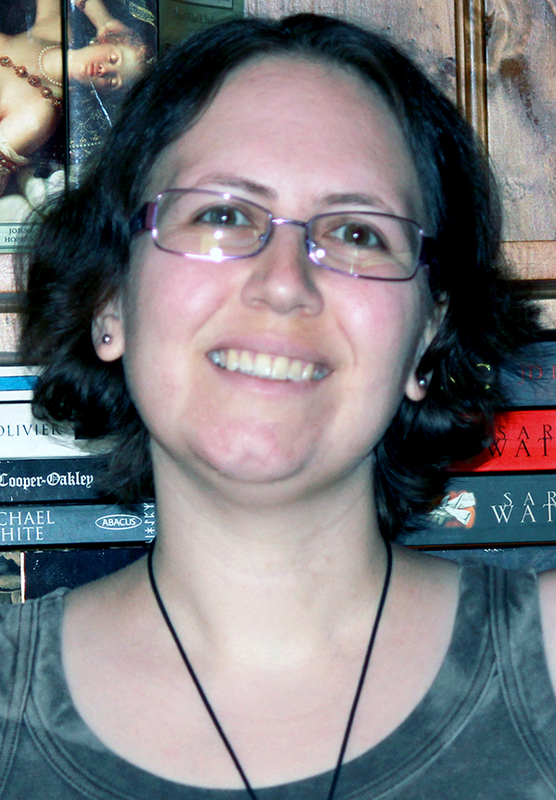 As a day job, Asta works as a freelance editor and proofreader, and in her spare time she enjoys music, theatre, cinema, photography, and sketching. 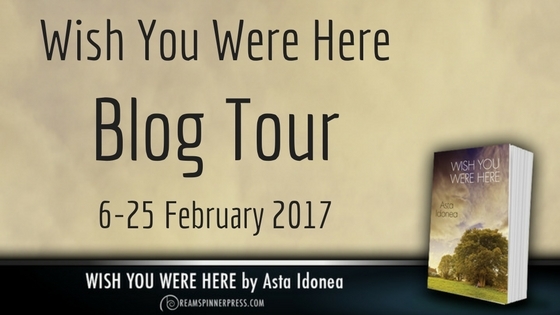 She also loves history, folklore and mythology, pen-palling, and travel, all of which have provided plenty of inspiration for her writing. Free Fiction Friday – Mr. Grace is Invading! Last summer I was lucky enough to spend an entire month in Monterey, California. Strolling the streets, taking the free shuttle to old town, walking the piers and splashing along the beach. The weather was mild and the fresh seafood was incomparable. We could sleep with the windows open and wake to the seagulls cry. It was perfect and my wish is that everyone could experience something similar at least once in their lifetime.